Here's Marie squinting in the sun when she was 11. 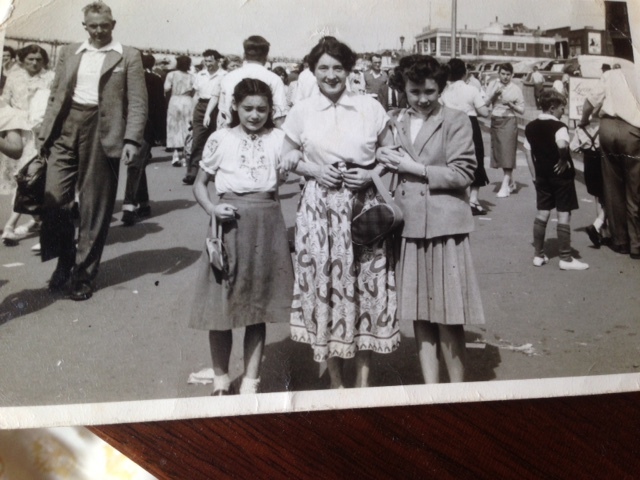 She's with her mother and older sister Betty visiting Hunstanton resort in 1954. She's carrying her little pocketbook and wearing a new blouse with flowers on it, (she still remembers that blouse). 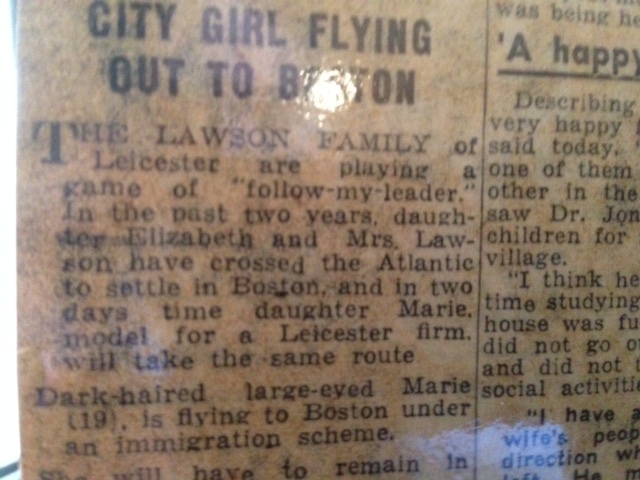 In 1962 Marie emigrated to the United States of America to join her mother and sister there, as reported by the Leicester Evening Mail on 12th July 1962. 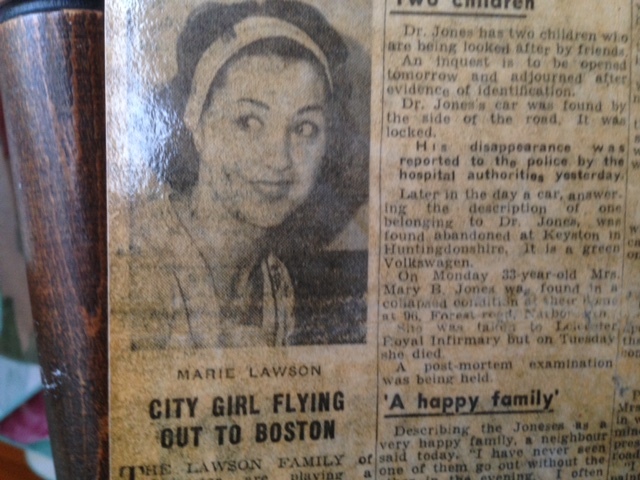 A close-up of the article in the Leicester Evening Mail on 12th July 1962. 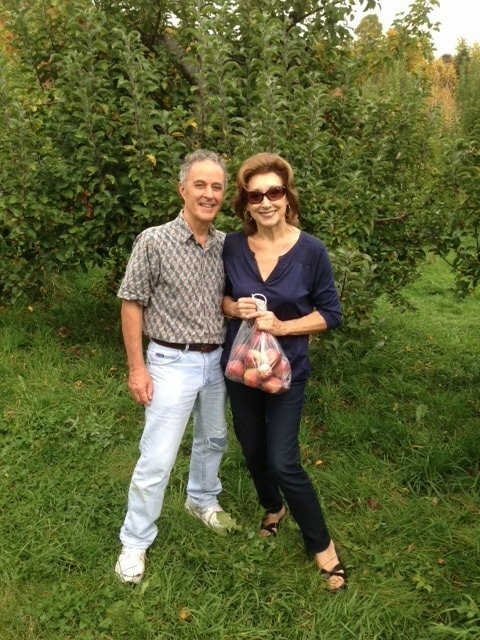 Here's a photo of Marie taken on the 18th of October 2014, with Peter Chamberlain - She's still stealing apples, but these are ripe ones.